Hertz, which also runs the Dollar and Thrify brands, announced Wednesday that it’d added 235,000 2015 model year vehicles to its fleet as of April 30. That mean shops who want to do business with fleets should be ready for everything that’s new in the model year. 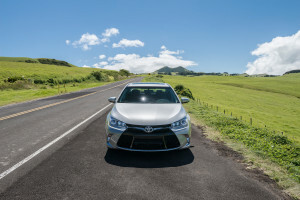 “The fleet refresh includes an extensive selection of 2015 models from Chrysler, Fiat, Ford, General Motors, Hyundai, Infiniti, Kia, Mazda, Mercedes Benz, Mitsubishi, Nissan, Toyota, Volkswagen and more,” Hertz said in a news release. Hertz pointed out that it has 2015 models of the Chevrolet Cruze, Nissan Altima and Toyota Camry, “which will be prominent across U.S. locations.” The Cruze and Altima mostly are like the prior-year models for collision repair purposes, but the Camry has been revamped somewhat, including more spot welds in the body. Ford has cut back on commercial fleet sales to meet dealership demand for the aluminum F-150, so the aluminum F-150 probably doesn’t have a huge footprint. (It’s not even shown as an example on Hertz, Dollar and Thrifty’s websites anyway). The 2015 Chevrolet Silverado, however, has a great deal more high-strength steel and aluminum and new repair procedures, and it is featured on Hertz and Thrifty websites as an example of rental trucks. A Hertz spokesman contacted Thursday afternoon said 4,500 2015 Silverados were among those introduced in the rollout. Regardless, shops wanting to do business with Hertz should check with OEMs about 2015 model year changes before making any repairs. Also new to the luxury collection in case you fix that kind of thing: the 2015 Mercedes C-Class and CLA45 AMG and the Porsche Macan Turbo.